Get your financial life back. Our trustees can help eliminate your debt. Bankruptcy may be your best option if your debts are spiraling out of control. Before you decide however, it is important to talk to a trustee about all of your debt relief solutions including a consumer proposal. As a Consumer Proposal Administrator, our Licensed Insolvency Trustee in Burlington can help you negotiate reduced payment terms with your creditors. Put yourself back in control with payments you can afford. 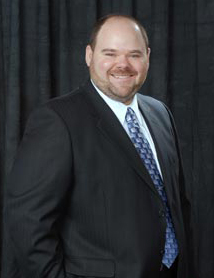 In our Burlington office you will meet with trustee, Billy Martell. Billy, along with Certified Insolvency Counsellor Wendy Young, meet with people dealing with the stress of financial problems everyday. They understand that you are looking for a solution that works for you. Contact our Burlington Licensed Insolvency Trustee today for a free, no obligation consultation. At your consultation we will review your financial situation. Then we will discuss your options and help you choose the best solution. We never charge up front fees and you are not pressured to make a decision. We offer respectful, professional advise that works.